Today, the market of cloud storage service is being controlled by Dropbox and Google Drive. If you don’t like the two and want to use another cloud storage service, pCloud is one of the worth-trying services. pCloud itself offers several web-based services. The cloud storage service provided by it is called pCloud Drive, which gives you a 10GB of free storage. Same as other similar services, pCloud Drive also provides a desktop client app to enable you syncing the files you have on the cloud with your computer. 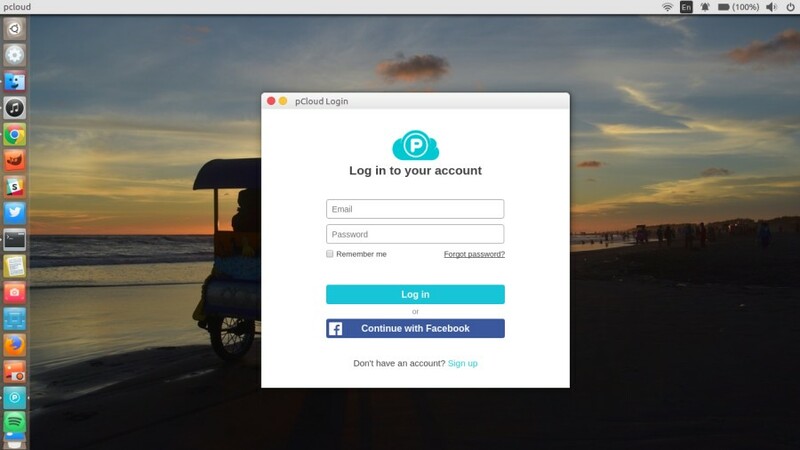 The pCloud Drive desktop client app is available for all major platforms, including Linux. There are two versions of pCloud Drive client app for Linux: CLI-based and GUI-based. This article will show you how to install the GUI-based pCloud Drive client for Linux. Firstly, you need to download the binary file of pCloud Drive client for Linux. You can download the binary file here. There are two versions of binary file of pCloud Drive client: 32-bit and 64-bit. Be sure to select the one corresponding the architecture of your computer. Once you downloaded the binary file, follow these steps to install it on your Linux computer. Open terminal and go to the folder where the binary file of pCloud Drive client is located using the cd command. Make the binary file of pCloud Drive client executable by giving the “x” attribute using the chmod command. Copy the executable file of pCloud Drive client to the “/usr/bin” directory. Be sure to add the “sudo” prefix since you want to access the system directory. Up here, you have successfully installed your pCloud Drive client. However, you will only be able to launch it via terminal (by typing pcloud). If you want to be able to launch pCloud Drive client via app launcher, you can create a “pcloud.desktop” file on the “/usr/share/applications” directory. You can use any text editor to create one. In this example I use nano. Following is the content you need to add to the file. By now, you should see pCloud Drive on the app launcher on your desktop environment. Done. You can now start using pCloud Drive client to sync your files. If you want to know more about pCloud, we have a review article here. What is the issue here, I tried to install in the way show in the pcloud site, doesn’t work neither.